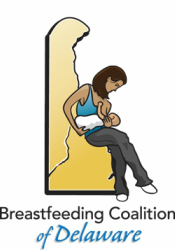 and continue breastfeeding, and gives special recognition to hospitals that have done so. Four Delaware hospitals, Beebe Healthcare, Milford Memorial Hospital, Kent General Hospital, and Christiana Care Health System have received the "Baby-Friendly Hospital" designation. Saint Francis Hospital is working towards designation.